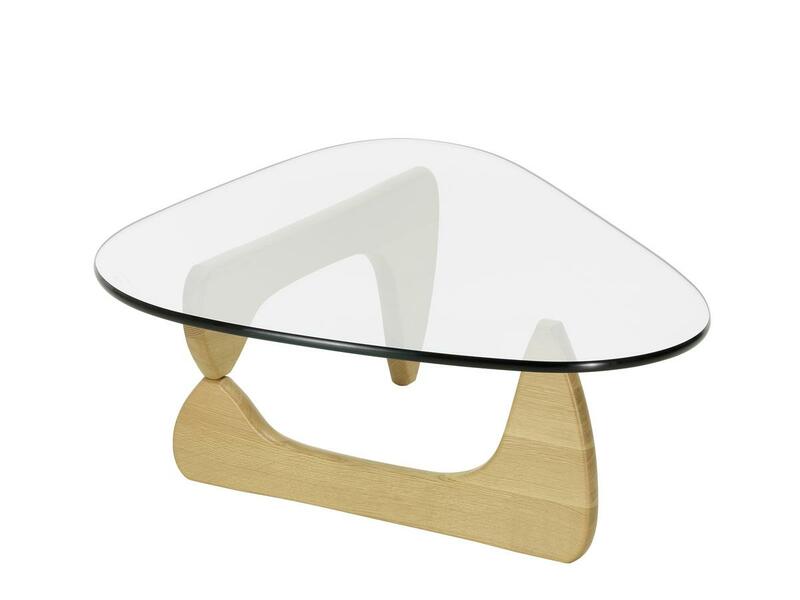 With Isamu Noguchi's Coffee Table two identical wooden parts are mirrored and staggered to form a stable base for a drop-shaped, round and polished 19 mm thick plate glass table top. 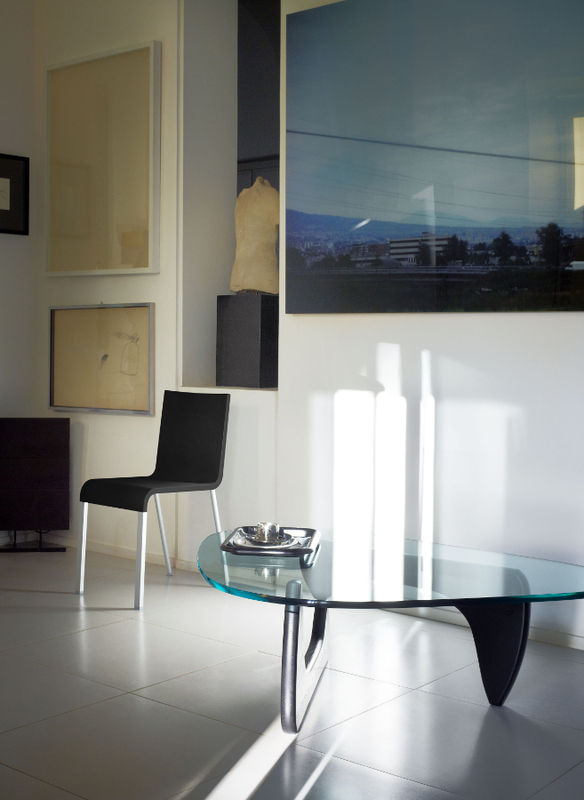 The unique Vitra table construction is almost sculptural in its conception, yet thank to its accessible organic shape loses nothing in terms of its domesticity. 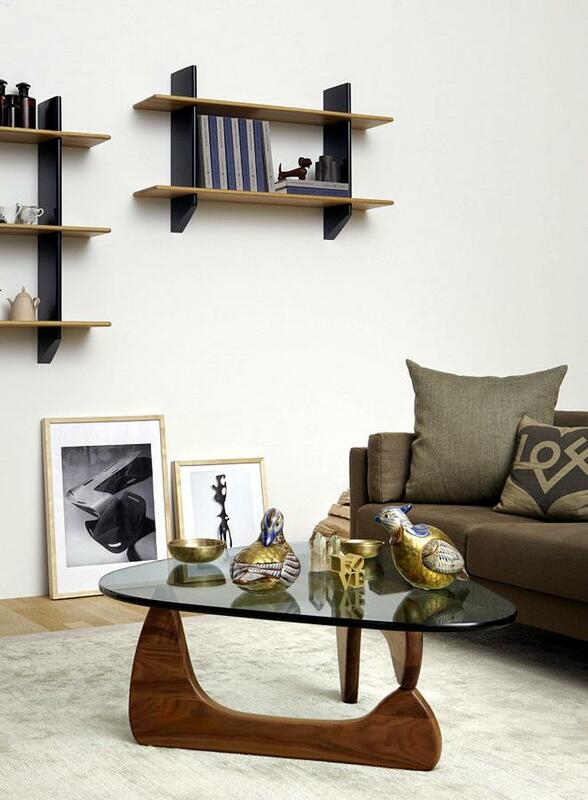 Isamu Noguchi himself described the Coffee Table as his best design. Care For cleaning wood surfaces use a soft, damp cloth and a mild, neutral detergent. For care and cleaning of glass surfaces use a soft cloth and glass cleaner. Can the glass plate and/or the base be ordered separately? On request we can also supply spare parts for your Vitra furniture. 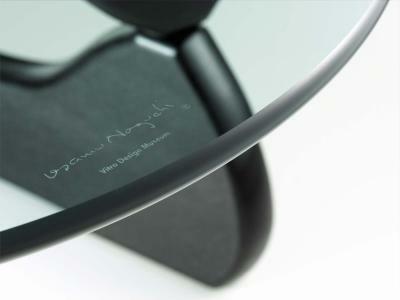 When ordering please always quote the original production number as stated on the Vitra label. How is the glass plate attached to the frame? 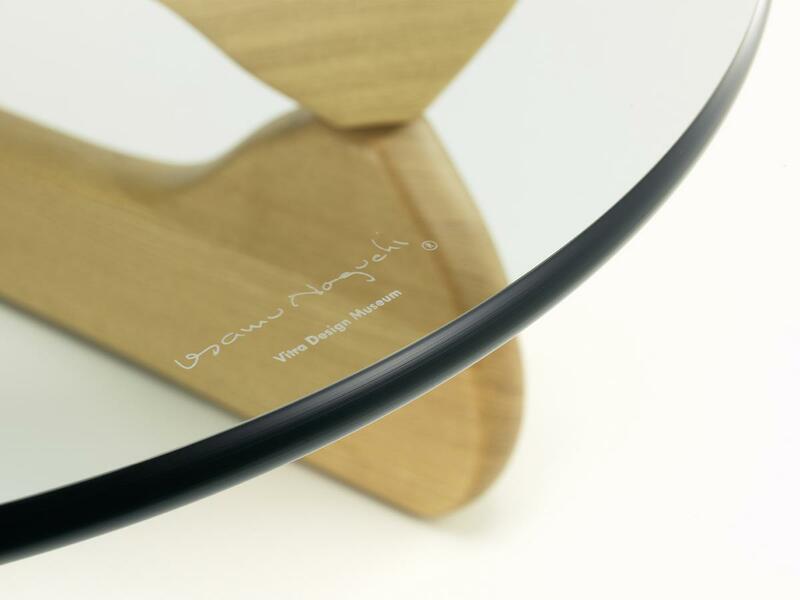 The Noguchi coffee table glass plate rests directly on the wood. 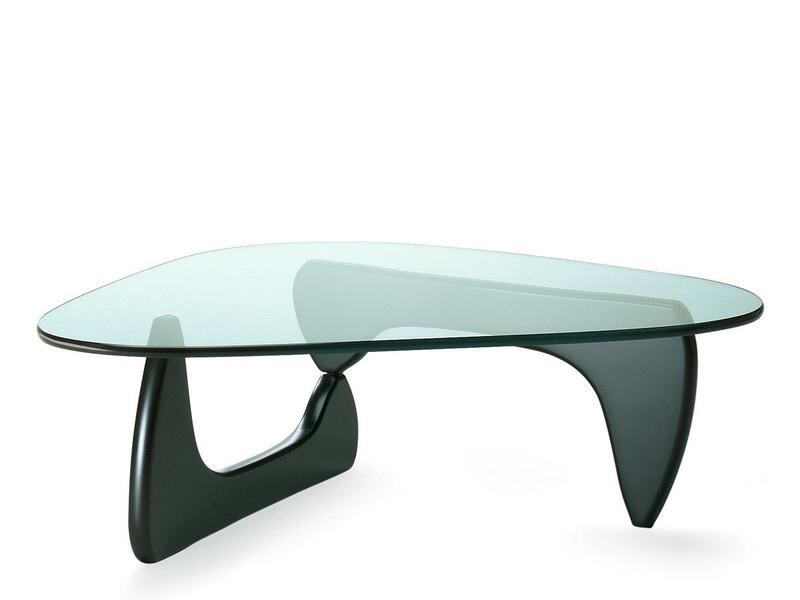 Isamu Noguchi was not only a designer but also a sculptor, and with his Noguchi Coffee Table created an object that satisfies the requirements of both design disciplines with its unique design. 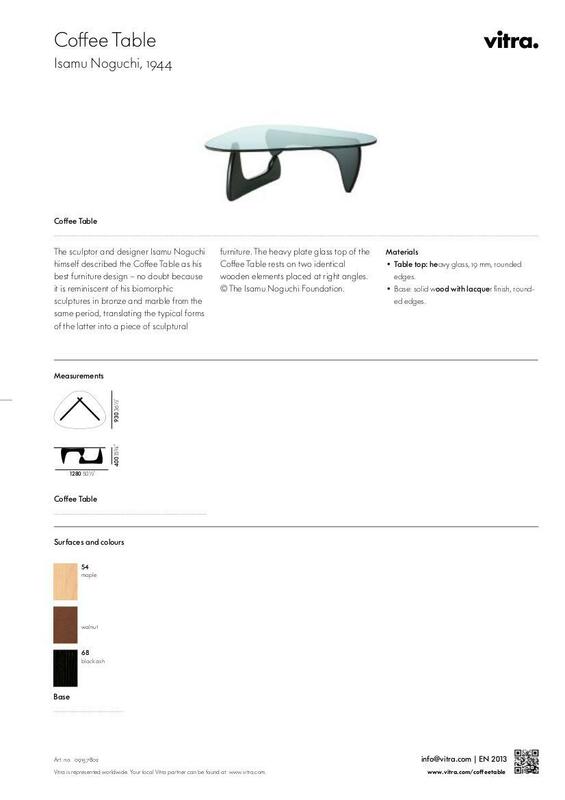 Which is perhaps why Noguchi himself described the coffee table design as his best and most successful. With its delightful organic shape, the Noguchi coffee table is very robust despite its light, filigree appearance. The construction is based on two symmetrical but oppositely opposed wooden arms which carry a 19 mm thick, tear-drop shaped glass plate. A combination which at first glance appears purely sculptural, yet which losses nothing in terms of its functionality. 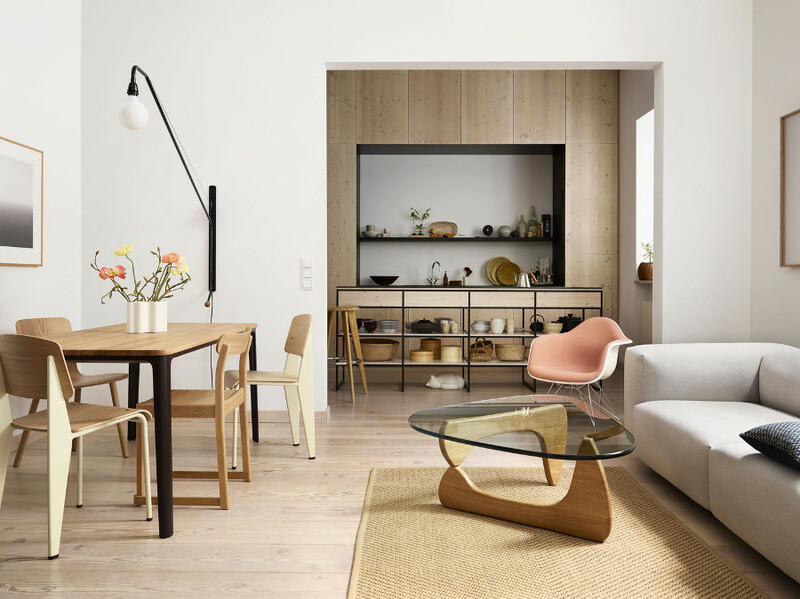 The first model for this Vitra classic was designed by Isamu Noguchi in the 1930s for the President of the Museum of Modern Art in New York - albeit with a base of interconnected columns. 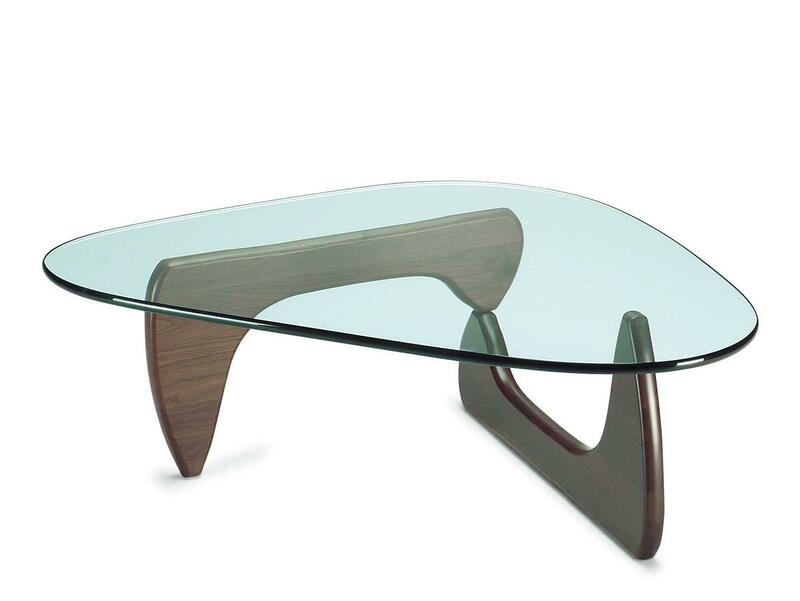 Noguchi revised this design in 1944, whereupon the Noguchi Coffee Table was created. 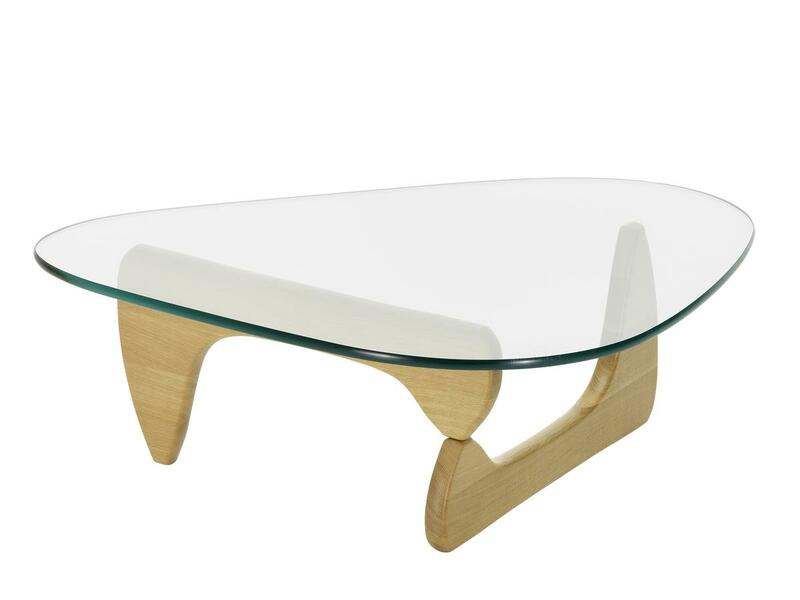 A design classic which today is available through Vitra as Isamu Noguchi devised it then. 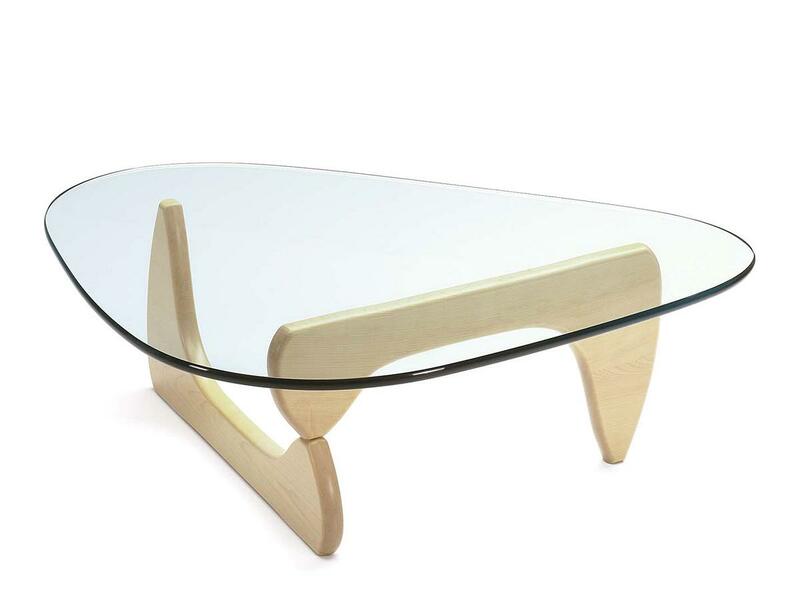 In the USA the Isamu Noguchi coffee table has been manufactured since 1947 by Herman Miller. 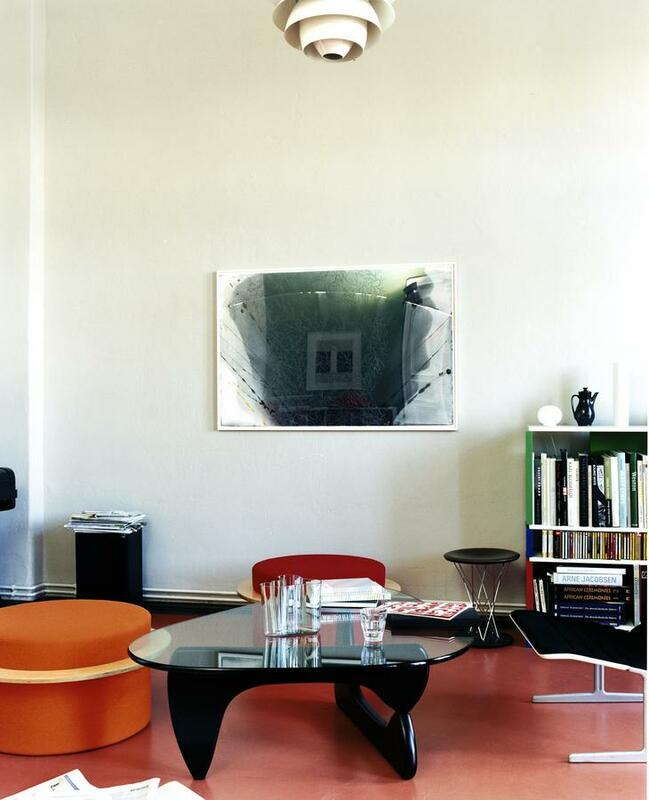 The table's production in Europe dates to when the Vitra Design Museum reissued it in 2002. The Vitra Design Museum belongs to the contemporary furniture manufacturer Vitra, based in Birsfelden, Switzerland. 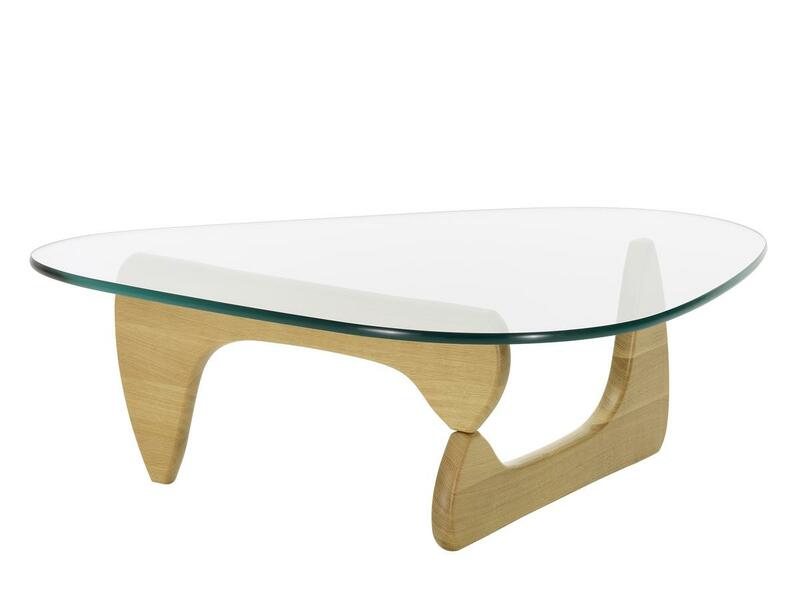 The base of the Noguchi coffee table is made ? 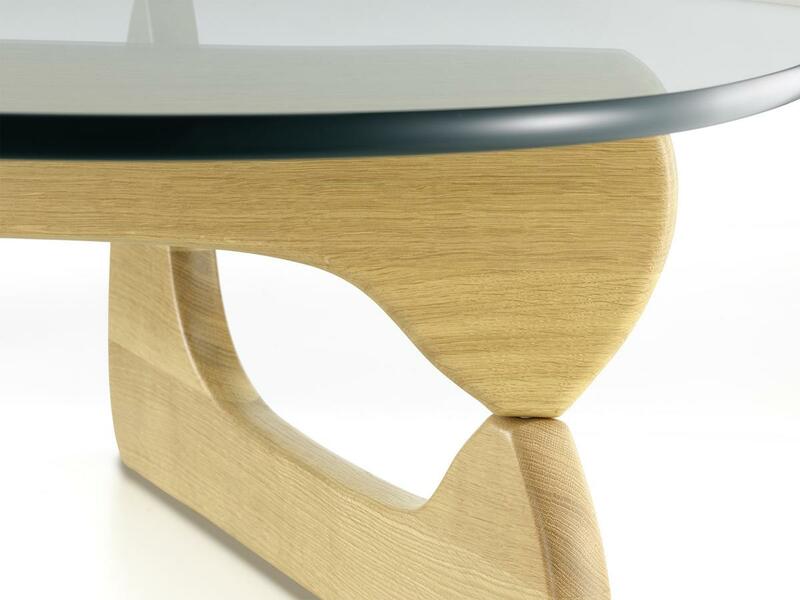 ?of lacquered solid wood ash, walnut or maple. 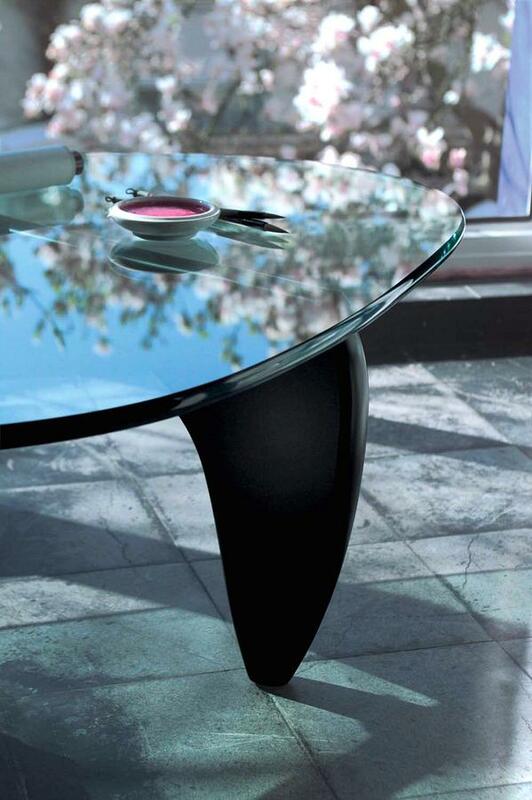 The 19 mm glass plate in its characteristic tear-drop shaped form sits atop this base. 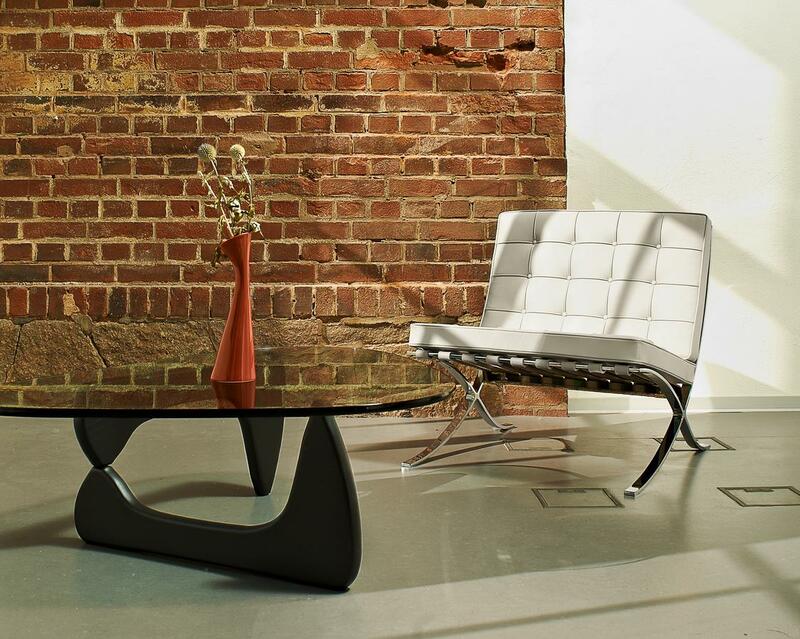 The design of the Vitra coffee tables derives from Isamu Noguchi. The son of a Japanese poet and an American writer Isamu Noguchi was born in 1904 in Los Angeles and studied at at Columbia University from 1923 to 1926 before moving on to the Leonardo da Vinci Art School. Defining for Noguchi's oeuvre were the years spent in New York, his several trips to Japan and a two-year tenure as a Guggenheim Fellow in Paris - where in 1927 he spent six months in the studio of Constantin Brancusi. In addition to the Western avant-garde, the teachings of traditional Asian painting and pottery, sculpture, and close cooperation with the American dancer and choreographer Martha Graham are all reflected in Noguchi's work. 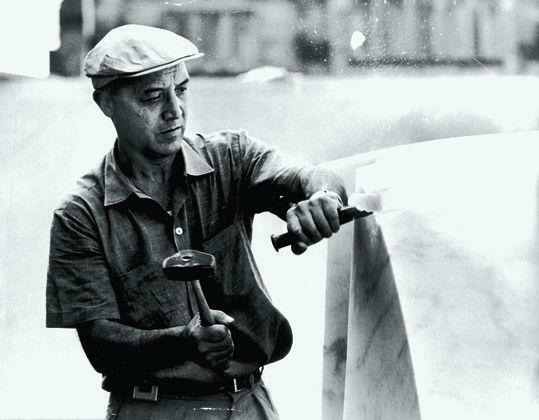 Isamu Noguchi's output ranges from sculptures to stage sets and on to landscape architecture and of course his famous furniture designs. As an artist Isamu Noguchi was present at the Documenta art fair in Kassel in 1959 and 1964 Isamu Noguchi died on December 30, 1988 in New York. 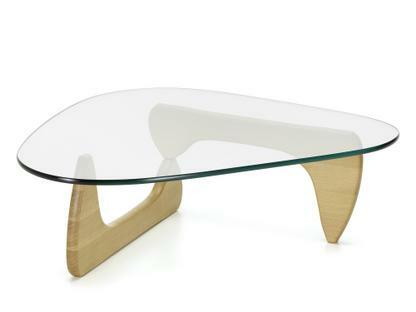 The Noguchi coffee table was created in 1944 and, as such, contains unmistakable elements of so-called "Mid-Century Modern". 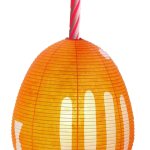 The design movement was popular in the second half of the 20th century and combines influences of progressive modernity with new techniques and possibilities. Unlike contemporaries such as Charles and Ray Eames Isamu Noguchi did not focus so much on the new challenges of modern society and the associated search for coordinated function-oriented solutions. Much more Noguchi's work is characterised by strong, organic and sculptural forms, forms that were also typical of the period after the Second World War. 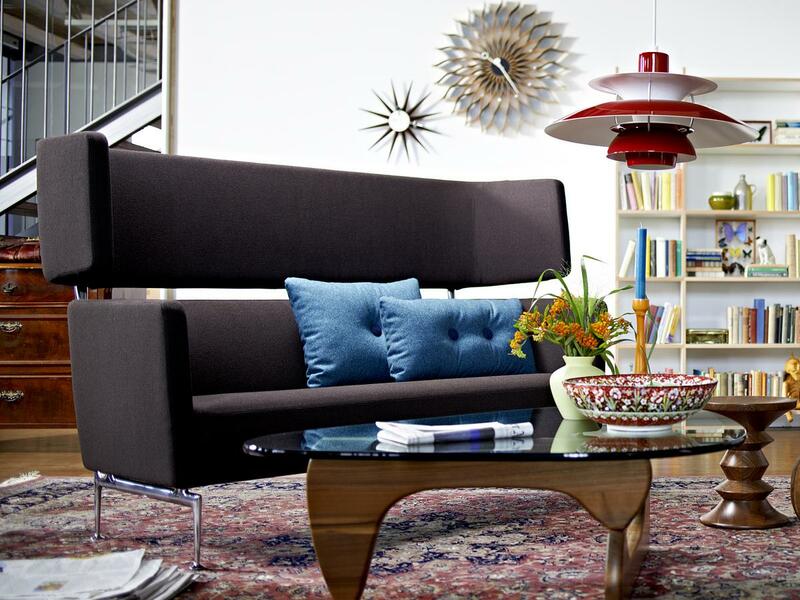 Vitra was originally founded as a shop fitting company in Birsfelden, Switzerland. In the early 1950s proprietor Willi and Erika Fehlbaum discovered an Eames chair while on a trip to New York and acquired the production licenses from the US manufacturer Hermann Miller. 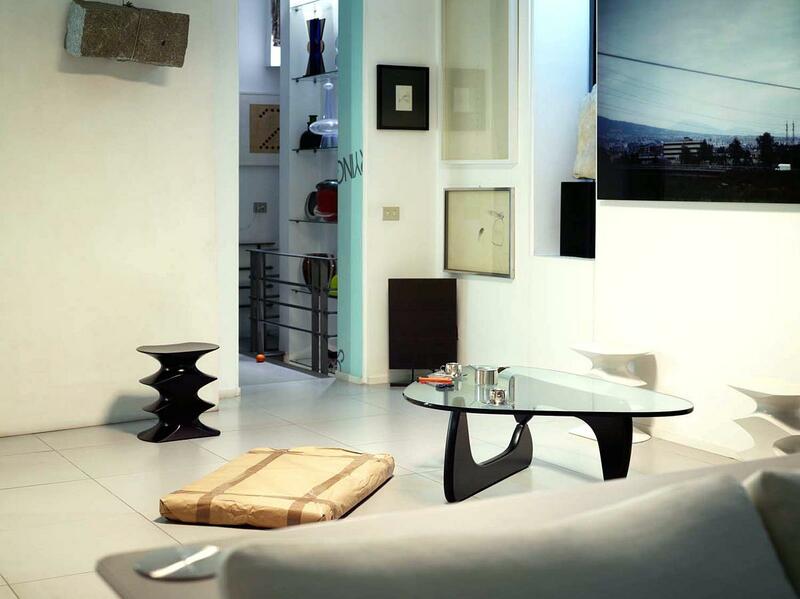 In addition to the Eames' licenses Vitra also acquired the licenses to Isamu Noguchi's works. 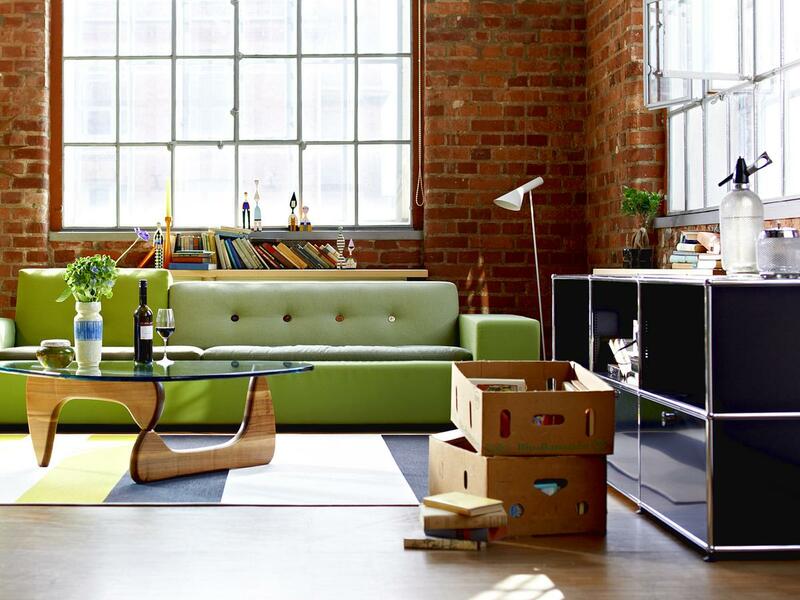 From an initial success founded on post-war American designs Vitra has subsequently built a reputation based on innovative contemporary office furniture, home furnishings and accessories. Vitra's popularity however is not only about ground breaking furniture designs, but also by the Vitra Campus in Weil am Rhein with its collection of buildings such as the Vitra Design Museum, VitraHaus or production and distribution halls by leading international contemporary architects has helped the company make a name for itself.